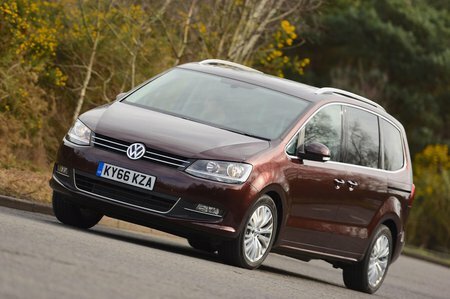 Volkswagen Sharan Performance, Engine, Ride, Handling | What Car? The Sharan comes with a choice of three engines – one petrol and two diesels. None of the engines feel underpowered when fully loaded, but there’s no doubt that the diesels feel more flexible when pulling from low revs up steep hills. The best balance, and our pick of the range, is the 148bhp 2.0 TDI, because it has the pull large families need, but also emits the least CO2 and uses the least fuel. The more powerful 182bhp unit is usefully quicker, but it’s less refined around town, with marginally more noise and vibration being evident from the driver’s seat. Both, however, are impressively refined on the motorway. That said, for the best refinement, you’ll want the entry-level 1.4-litre petrol. It’s by far the quietest engine under load and remains smooth no matter how hard you work it. Both the diesels by contrast sound gruff at high revs, especially when cold, and send more vibrations back though the pedals and steering wheel. No MPV can claim to be outright fun to drive, but the Sharan does a good job in the handling department. 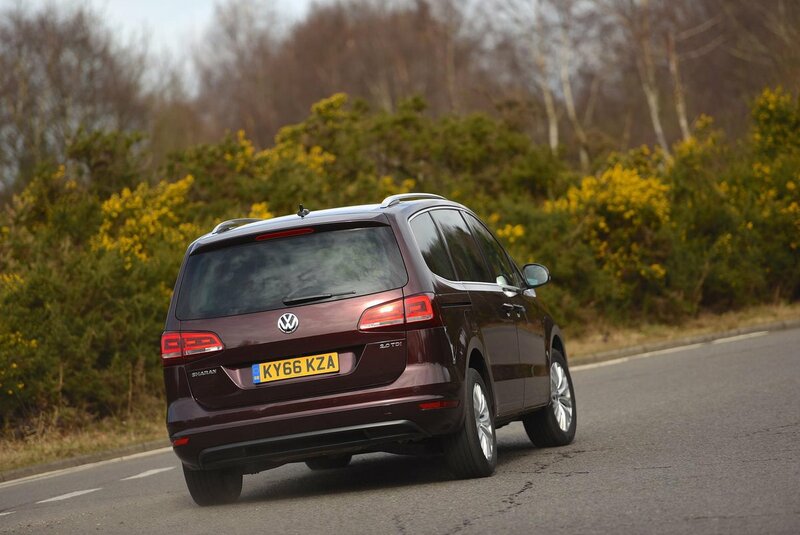 It’s not as sharp as the Ford Galaxy or sportier Seat Alhambra, but there’s enough weight and precision in the VW’s steering for it to feel eager and body control in tight bends is very good. DCC adaptive chassis control is also available as an option. It individually adjusts the dampers at each wheel to give better body control yet improves ride comfort. The system works well and also offers drivers the option to override the Normal setting with a Sport or Comfort mode.